The Fun on the Farm Sleep Walk has been deemed another successful event for Rowcroft Hospice. 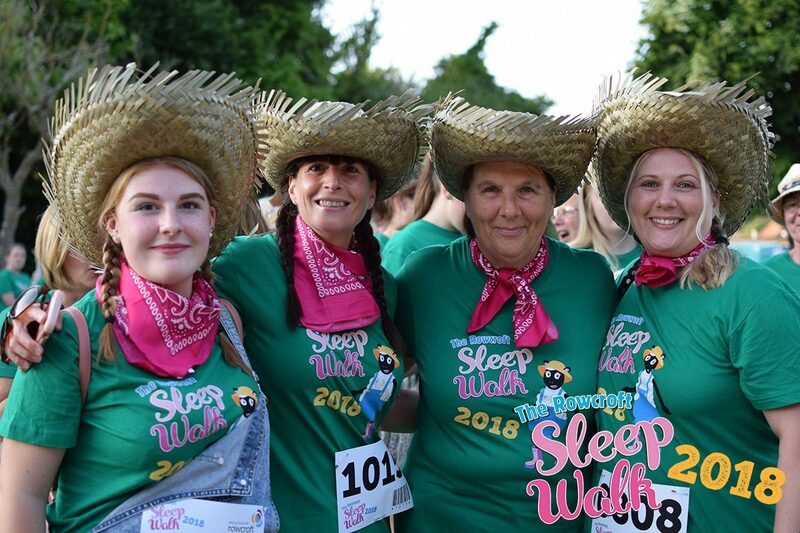 1,364 ladies took part in Rowcroft’s Fun on the Farm Sleep Walk on Saturday night and have pledged to raise an amazing £101,705 for the hospice. The annual women’s walk has sky-rocketed in popularity since its launch in 2011, and is now a key event in the Torbay summer season. With the jubilation of the England football win in the air, many sleepwalkers crossed the start line with an extra spring in their step. Over the past eight years The Sleep Walk has generated over £1.2 million for the hospice. Last night ladies from across South Devon came together to walk five or ten miles to support the local hospice. The night walk covered routes along Paignton and Torquay seafronts, with the last Sleep Walker crossing the finish line at 2.15 this morning. Those taking part in the walk were blessed with a warm evening and treated to a beautiful sunset across the Bay. The event was supported by many local businesses as well as 165 volunteers who gave their time and worked through the night to support this much-loved charity. It is hoped The Sleep Walk will raise an incredible £101,707 this year, every penny of which will help support people living with a life limiting illness in South Devon. This impressive total does not take into account sales of merchandise and other funds raised on the night, which are set to make the amount rise again in the coming days. For more information on Rowcroft’s other exciting fundraising events such as Ride for Rowcroft on Sunday 14 October, visit www.rowcrofthospice.org.uk.